Looking for a printer deal? 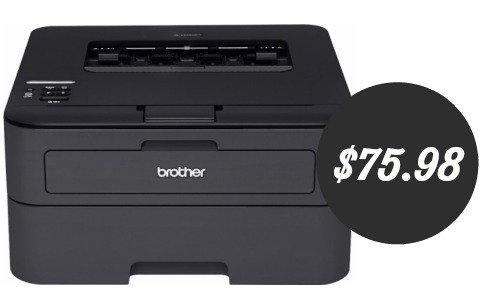 Best Buy is offering the Brother HL-L2360DW Wireless Monochrome Laser Printer for $75.98 after a $25 Visa promotion. Do note, you must use VISA Checkout as your payment method to receive the discount (applied at checkout). This Brother Printer is a black & white wireless laser printer and it can print 500-700 sheets with the toner it comes with. Then, you can replace the toner with a high yield cartridge for around $10. The replacement will print 2,600 sheets! This is my go to printer for sure. Offer valid through 2/22. Limit one per person.